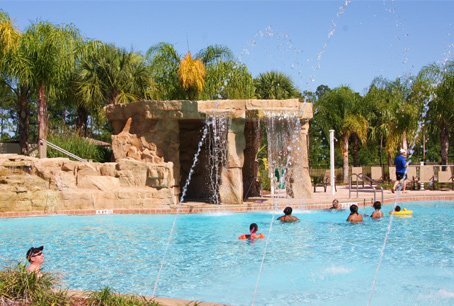 The Regal Palms Resort & Spa is located just 9 miles from all that Orlando has to offer. 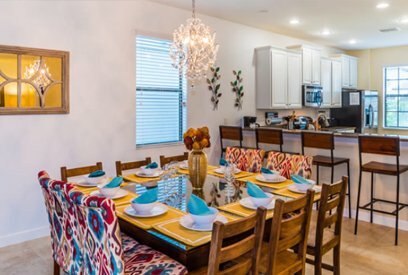 This complex of accommodations features a selection of town-homes and private pool homes all nestled within a tranquil tropical setting. 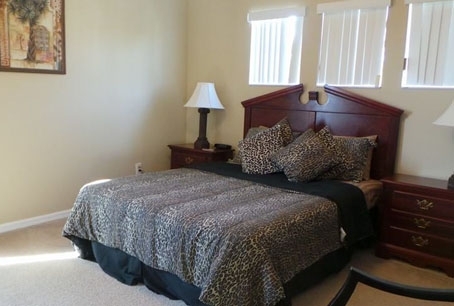 Each modern home comes with a fully equipped kitchen, living / dining area, private bedrooms, bathroom,telephone, microwave, coffee-maker, refrigerator, dishwasher, washer/dryer, remote control cable TV, central air, iron/ironing board and an in-room safe. 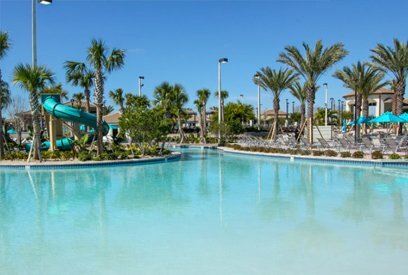 On-site you can also enjoy The Bamboo Tiki Bar, spa and fitness centre, tropical swimming pavilion with a water-slide, lazy river, volleyball and a playground. 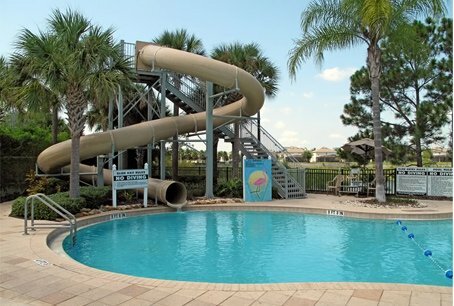 The Regal Palms Resort & Spa is a truly fantastic property for families. 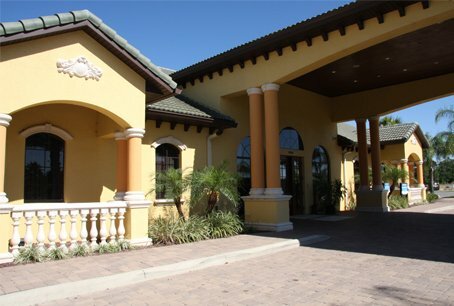 The five star Reunion Resort is a luxury resort featuring many spacious villas and inviting homes which are all nestled on 2300 acres of beautiful landscaped grounds. 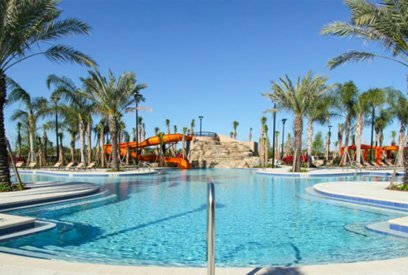 The Reunion Resort is the ultimate luxury family destination and is located just a couple of minutes from Orlando’s most popular attractions. 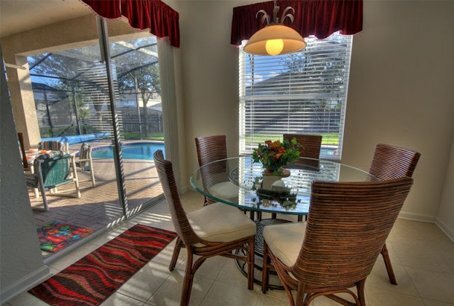 Guests have a choice of 1-3 bedroom villas or 3-6 bedroom rental homes. 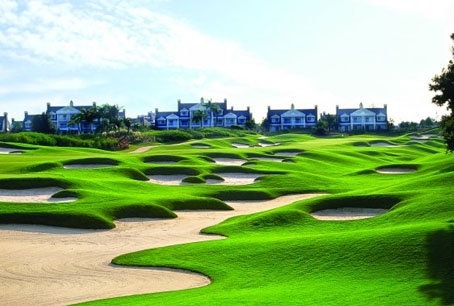 The homes at the Reunion Resort border the on-site championship golf courses and they each feature a living/dining room with private balcony/terrace, bathroom, complimentary wifi, secluded master suite and additional bedrooms providing queen, two double or two single beds. 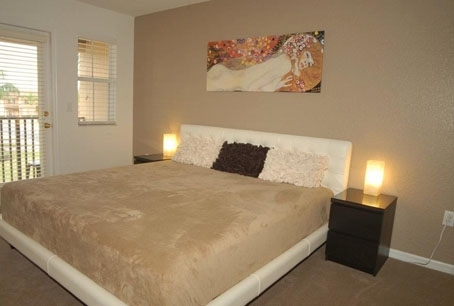 Daily housekeeping is provided in the apartments and a la carte in the homes. 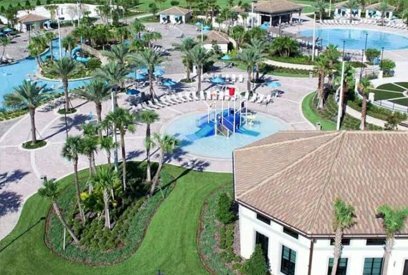 Throughout the stunning grounds of the Reunion Resort you can also enjoy exclusive amenities such as the 5-acre Water Park, 11 pools, spa and fitness center, exceptional dining and more. 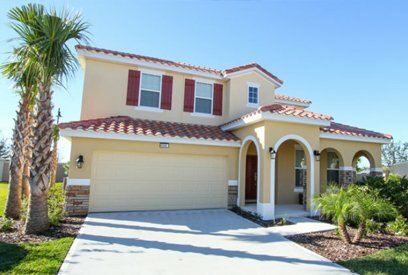 Calabay Parc is a stunning vacation community located in the Disney area that offers a fantastic selection of high standard homes. 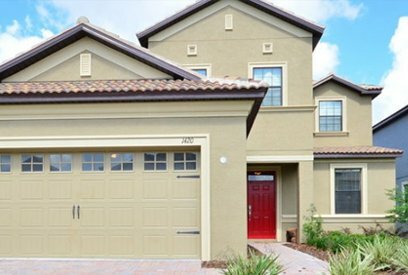 Calabay Parc features a range of homes between 3 and 5 bedrooms and each home comes complete with a private pool. 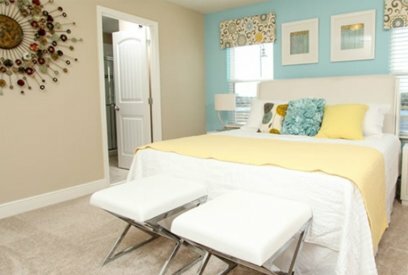 Enjoy spacious living, luxurious bathrooms and generous walk in wardrobes in each of these gorgeous homes. 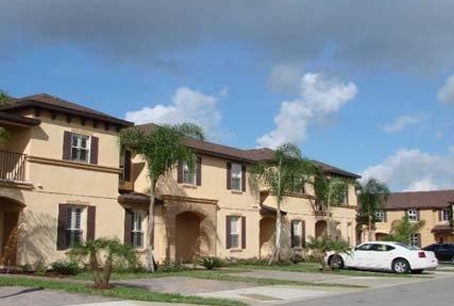 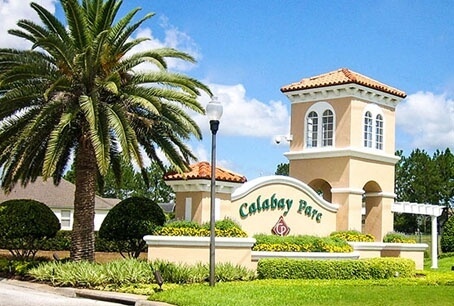 Each of the homes at Calabay Parc are set among a beautiful landscape that’s well maintained. 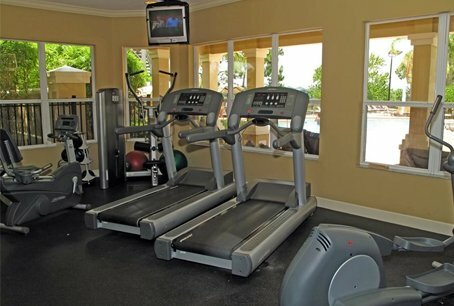 Some homes in addition to the regular offerings feature home fitness equipment, a games room, home cinema and a in-ground spa or hot tub. 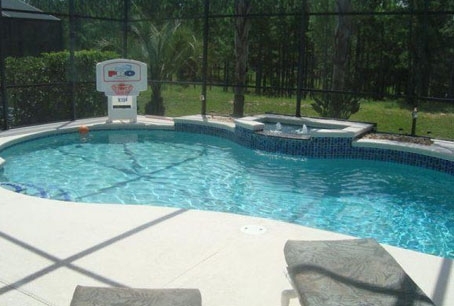 Paradise Palms features modern villas that combine a perfect location with full service resort facilities. 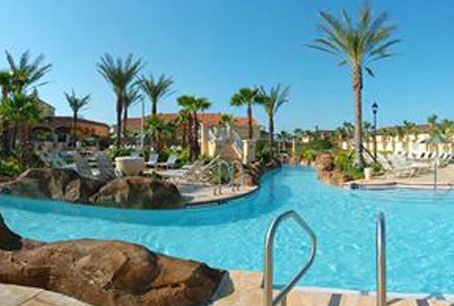 The Paradise Palms Resort features an expansive swimming pool as well as a clubhouse and stunning accommodations which range from 3 to 6 bedrooms. 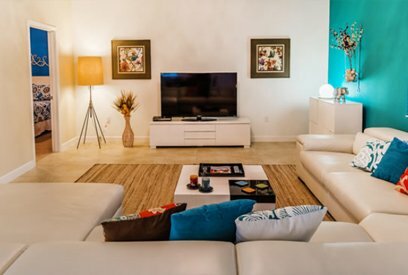 The largest properties in the Paradise Palms Resort feature up to 12 guests and each of the homes and villas are spacious and welcoming. 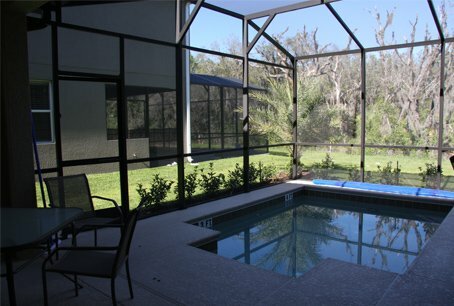 All townhomes on-site feature a private screened pool. 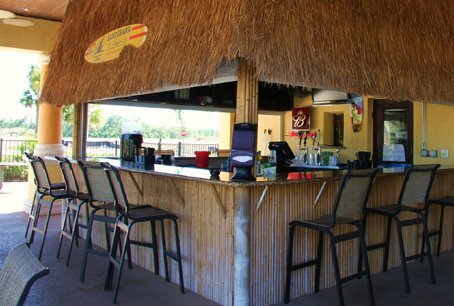 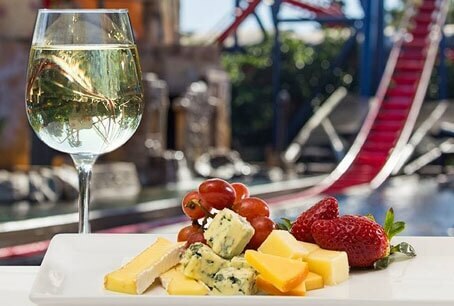 On-site you will also find a deli to stock up on daily essentials and for days away from self-cooking you can enjoy a meal at the on-site tiki bar and grill. 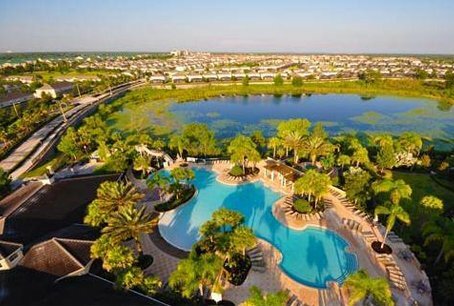 Windsor Hills is an exclusive gated resort located in the heart of Kissimmee and is located just two miles from Walt Disney World. 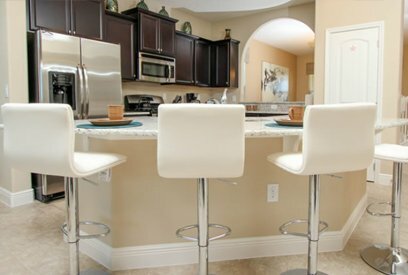 With great communal facilities that complement the large spacious homes, Windsor Hills is a fantastic option for your holiday. 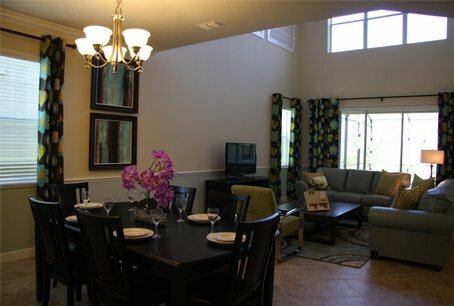 Each home comes with air-conditioning, a private screened pool, fully furnished kitchen, TV, DVD and a dining area. 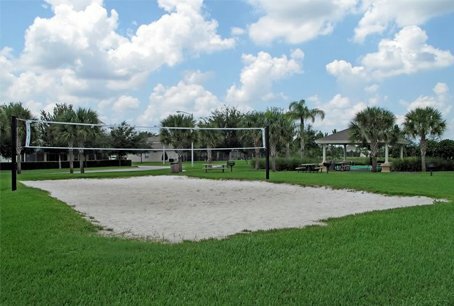 On-site you can also enjoy a communal pool, fitness room, games room, tennis & basketball courts, a play area and a 40 seat movie theatre. 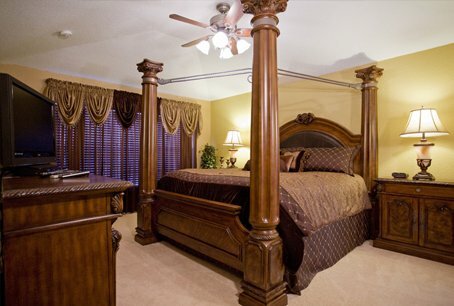 Please note that each villa varies in design and style so may not match exact images. 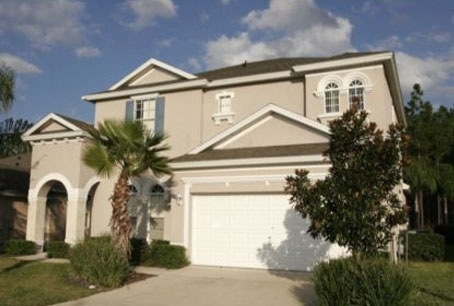 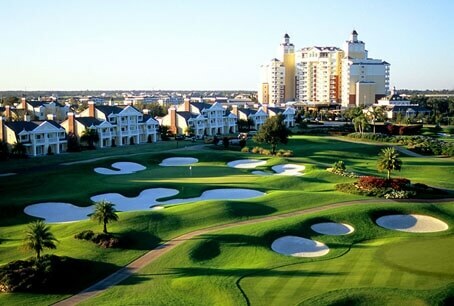 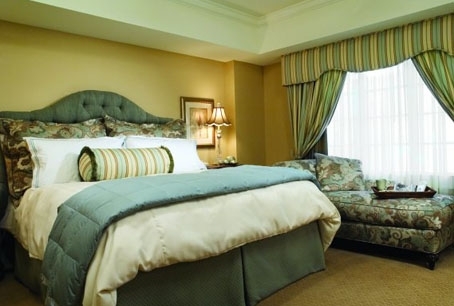 Champions Gate Resort is a luxury homes resort in the Orlando area that features 5-9 bedroom homes. 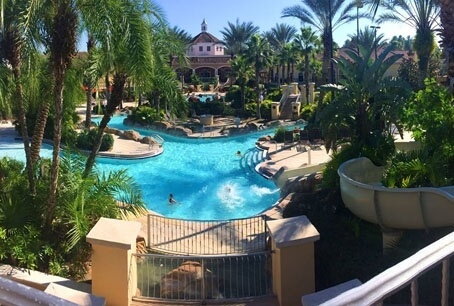 This luxurious resort also features a 20,00 square foot Oasis clubhouse, a large resort-style pool, waterslides, lazy river, splash park, fitness center, tiki bar, movie theater, playground and volleyball courts. 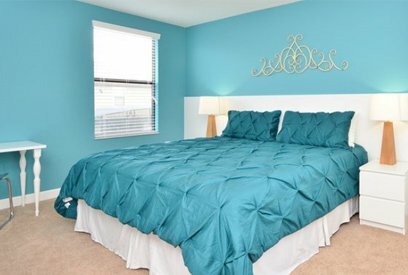 The homes on-site all feature master suites, premium furniture, spacious, fully equipped kitchens with granite counters and stainless steel appliances. 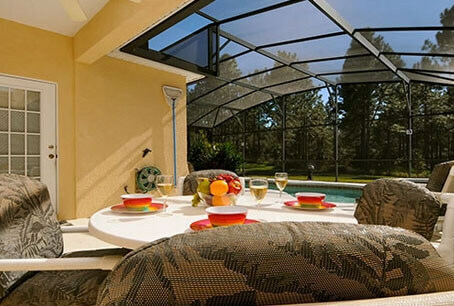 You can also rent luxury cabanas on-site that come air-conditioned. 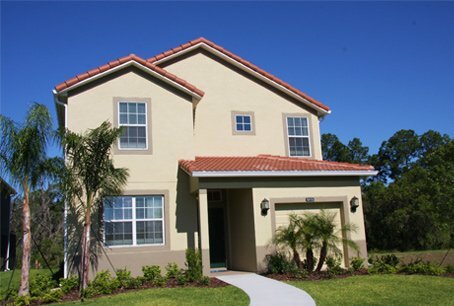 Solterra Resort in Orlando is a brand new luxury resort community that offers 4-7 bedroom homes. 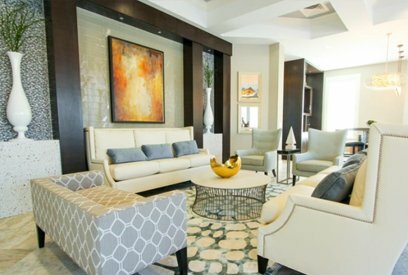 Each of the homes in Solterra Resort are designed to the highest standard and are both stylish and excellent value. 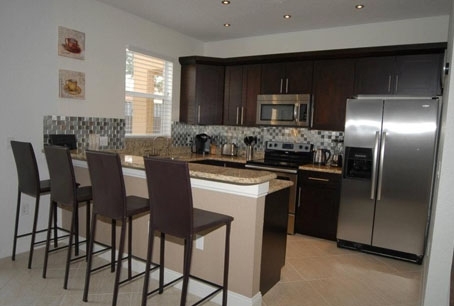 Each home comes with multiple ensuite bathrooms, a heated pool, granite counter tops and tile flooring. 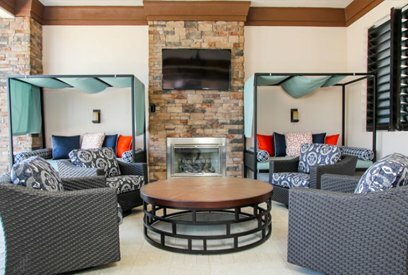 On-site you can also use the stunning clubhouse which features cabanas, a resort-style pool, an outdoor recreation area, a volleyball court and a tennis court.